Inter Pipeline Ltd’s board of directors has authorised the construction of a world-scale integrated propane dehydrogenation (PDH) and polypropylene (PP) plant. 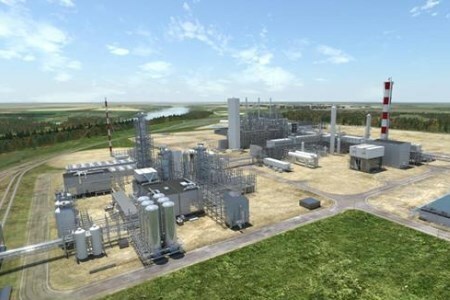 The facilities, collectively referred to as the Heartland petrochemical complex, are estimated to cost CAN$3.5 billion in aggregate and will be located in Strathcona County, Alberta, Canada, near Inter Pipeline’s Redwater olefinic fractionator. The Heartland Petrochemical Complex will be designed to convert locally sourced, low-cost propane into 525 000 tpy of polypropylene, a high value, easy to transport plastic used in the manufacturing of a wide range of finished products. Construction of the complex will continue in early 2018 with completion scheduled for late 2021. "We're excited to see this new investment that will create thousands of good-paying, value-added jobs and help diversify Alberta's economy,” said Margaret McCuaig-Boyd, Alberta’s Minister of Energy. This CAN$3.5 billion project represents the single largest capital investment in Inter Pipeline’s history. Upon completion, the project is estimated to generate approximately CAN$450 million to CAN$500 million of long-term annual average EBITDA and be accretive to future funds from operations per share. The company has secured initial binding commercial support for the project from certain counterparties through take-or-pay arrangements, and the facility’s design is well advanced with approximately CAN$400 million invested to date in engineering, procurement and early civil works. The PDH facility will be designed to convert approximately 22 000 bpd of propane into 525 000 tpy of polymer grade propylene. Propane feedstock for the PDH plant will be sourced from Inter Pipeline’s Redwater olefinic fractionator as well as several other third party fractionators in the region. Detailed engineering for the plant was awarded to Fluor Corp. in 2013 and is now approximately 85% complete. Inter Pipeline has also completed early civil work at the site in preparation for facility construction activities in early 2018. The integrated PP plant will utilise propylene from the PDH plant to produce 525 000 tpy of polypropylene. Linde Engineering was awarded the front end engineering design contract for this facility in 2017, and work is currently approximately 70% complete. Construction of this component of the complex is scheduled to begin in 2H18.